Bonnyrigg Rose manager Robbie Horn says their belief in retaining the Super League title has been strengthened in recent weeks. Rose have been playing catch-up all season behind league leaders Kelty Hearts, who were able to stride out in front as Rose embarked on a fine William Hill Scottish Cup run which was ended with a fourth-round defeat by Hibs. 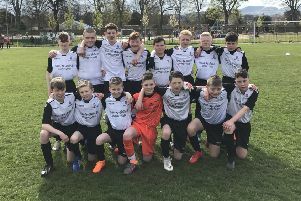 Kelty looked unstoppable having gone 21 games unbeaten until they were finally defeated by Jeanfield Swifts two weeks ago. Now Rose know that, if they win their remaining 15 games, the championship will be theirs. Although Horn believes they’ll still need other teams to do them a favour, he said: “To win all 15 games would be a massive ask of any team, to be honest. Come the end of the season, we’ll have games on a Monday, Wednesday and a Saturday so to go on that kind of run would be near enough impossible. We’re going to be reliant on other teams because I’m sure along the way we’ll drop points as well. Kelty dropping more points would make it a little bit easier for us. Rose host Lochee United tomorrow before their Scottish Junior Cup quarter-final with Kirkintilloch Rob Roy next week. The importance to Rose of the cup tie is huge but, for the time being, all their focus is on securing three points tomorrow. “The most important thing is tomorrow,” said Horn, who brought in former Cowdenbeath midfielder Dean Brett this week and is looking to add a couple more players to his slimline squad.